The Italians are very straight-forward when it comes to colours in our breed.. brown is brown, white is white etc. People use terms like ‘chocolate’, ‘cream’ and ‘choc-tops’, but these are just descriptions of the colour. 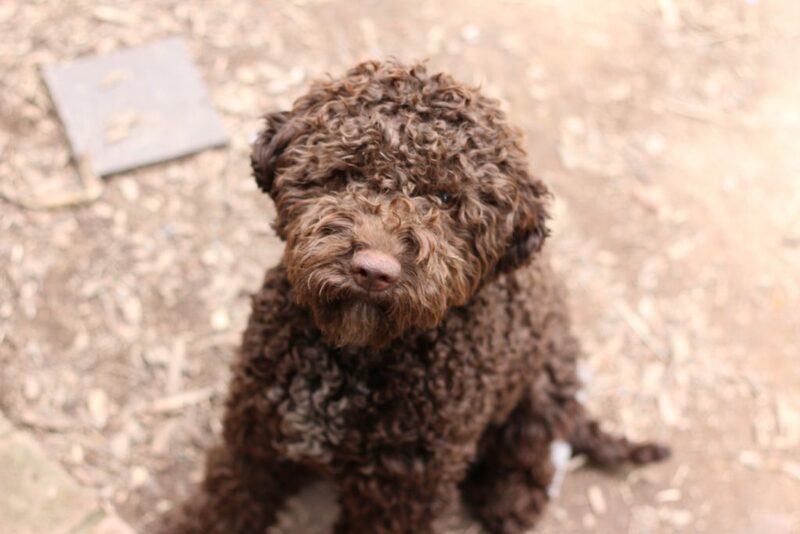 All Lagotto have a brown nose. The brown can be in any shade. 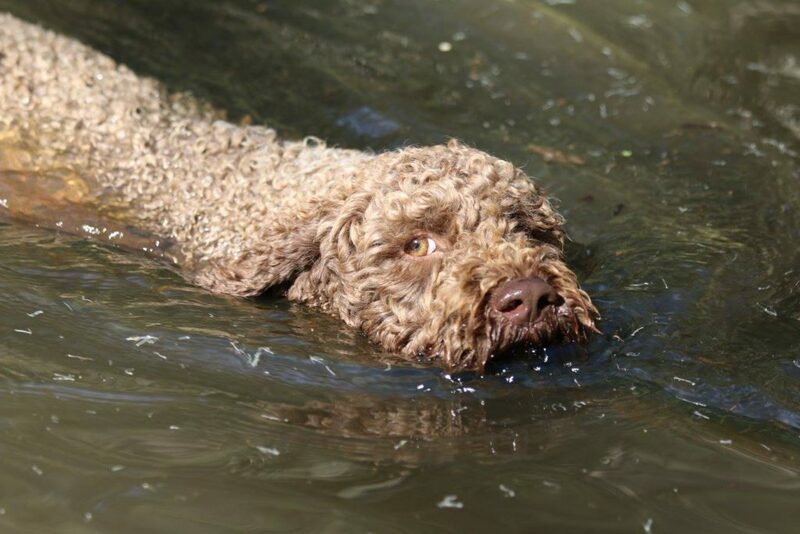 Lagotto do not come in black. Many and varied shades of brown. Most will fade, occasionally genetics will dictate that a coat will remain dark. Often there will be white fur appearing through the brown towards the end of the dog’s first year. This normally starts on the topline and slowly blends through the body, sometimes enough to make the fur appear grey, other times just a slightly lighter brown. 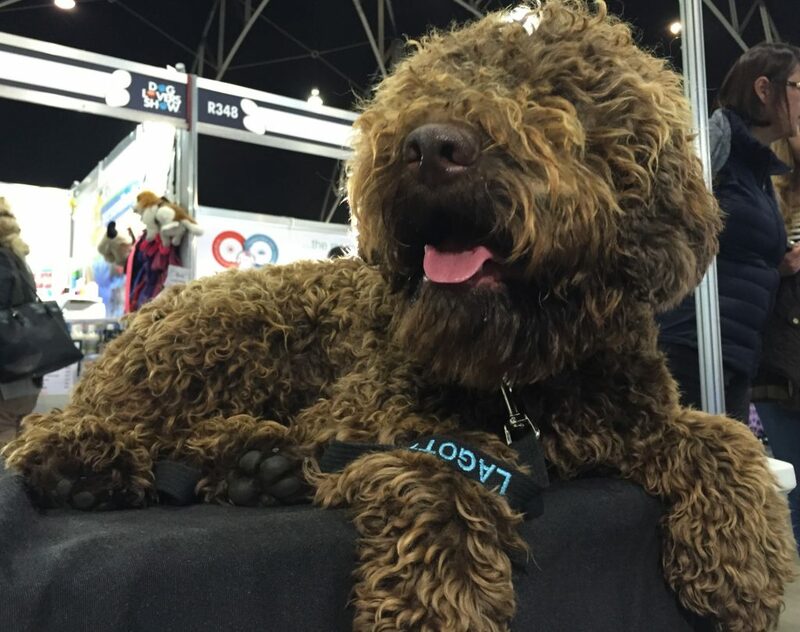 Nothing is set in concrete with Lagotto, expect change throughout their lives as new fur emerges – dogs who were once quite grey looking can grow back into a fairly dark coat. Brown dogs with quite a bit of white on them can be called Brown with White. With just a little white the dog is still called Brown. If it is a true white (rather than roan) the white will remain visible in the coat for life. Brown dogs with small amounts of roan will find that the roan disappears into the coat as they mature. 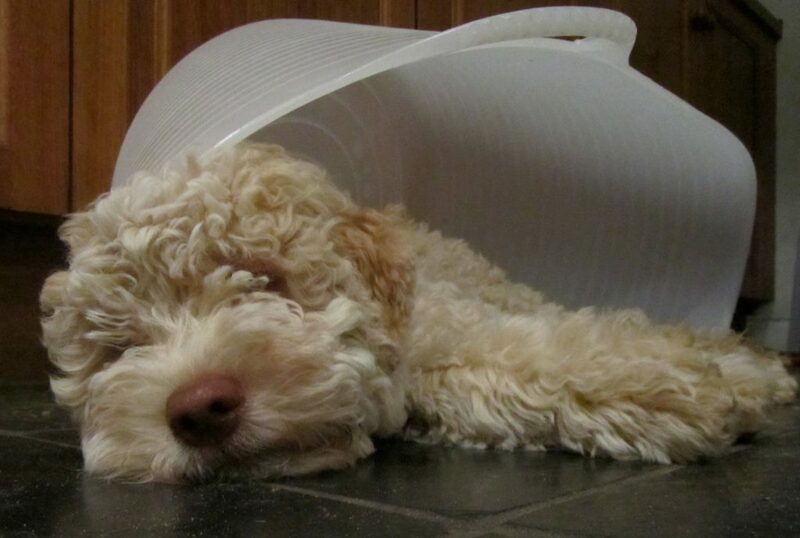 It is always there, but never as obvious as during puppyhood. 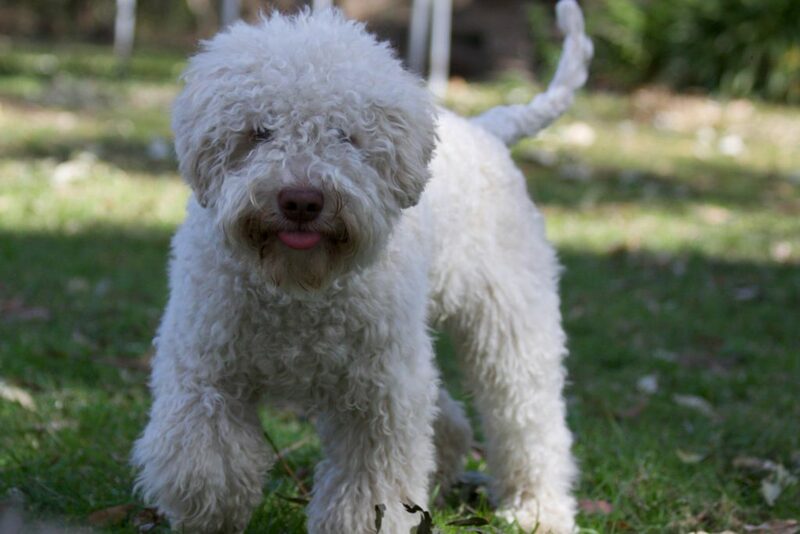 These dogs are the same as the White dogs but often have slightly ‘orange’ ears, patches, toplines or bits of colour that resemble the apricot colour in poodles. The orange will sometimes fade out in adulthood but is normally still at least a little visible. 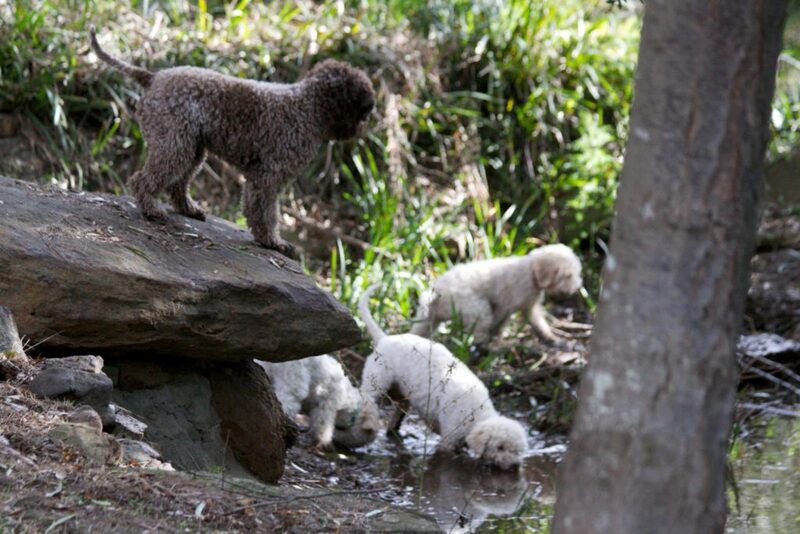 These dogs can be quite heavily coloured at birth and as young dogs. Often they will fade out as they mature and look creamy coloured. Predominantly white fur with brown patches. Often they have a mask of brown as well. The brown can either fade with time, as with the brown coat, or remain dark. Some are heavily freckled on their skin and can look very spotty when they are wet. 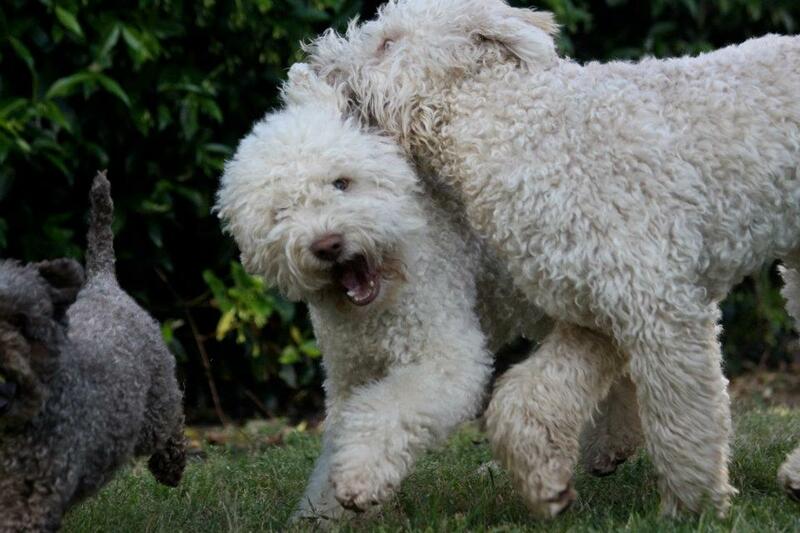 Usually these dogs will have rather a pink skin under their fur. A very interesting colour in terms of how much it changes in a short period of time. These dogs are born looking almost identical to white with browns. Depending on the line you can sometimes tell almost immediately which will be which by looking at their skin, or paw-pads. Pink for white with brown, bluey/brown for roans. In the following days it becomes apparent that they are changing. 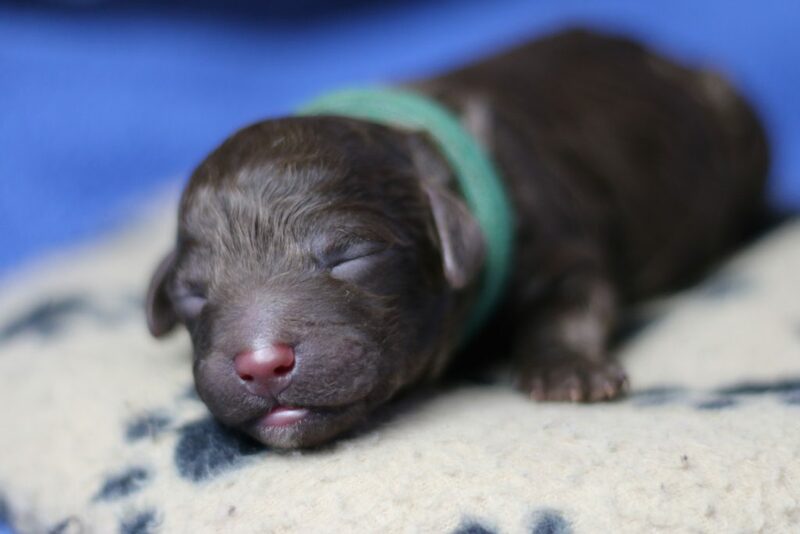 Dark fur starts to grow amongst the white fur and the puppy slowly turns a grey colour (his brown spots and brown mask remain the same). 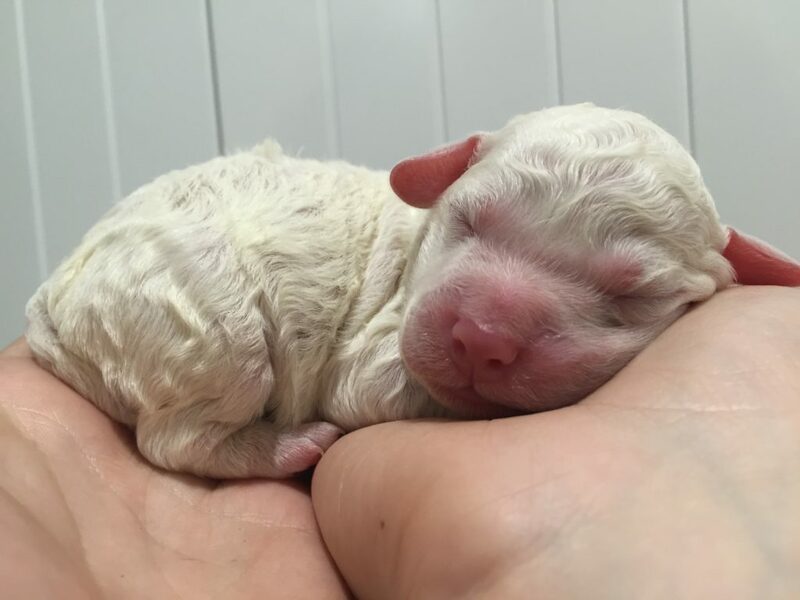 These puppies change so much from pup to adult that you may not be able to recognise them. Some end up being a darker brown than the browns. Often if you put a roan and a brown adult together it is hard to pick how each of them started out. 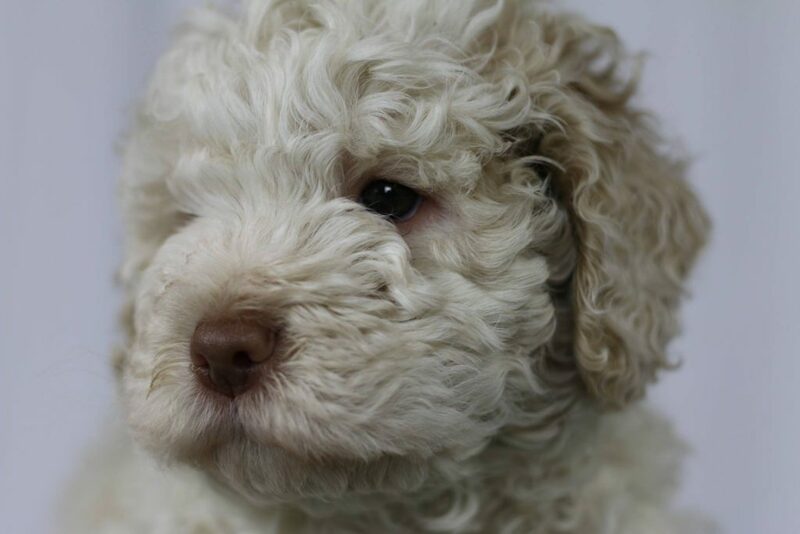 Copyright © 2019 Parity Lagotto Romagnolo.